the maple, those thin gray mesquites along the highway. searching for water in the wrong place. 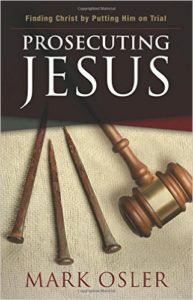 It’s not often that I link to something I write for the WACOAN, but there is no better way to introduce you to Mark Osler and encourage you to read his new book, “Prosecuting Jesus,” than to share a Q&A I did with him in July. 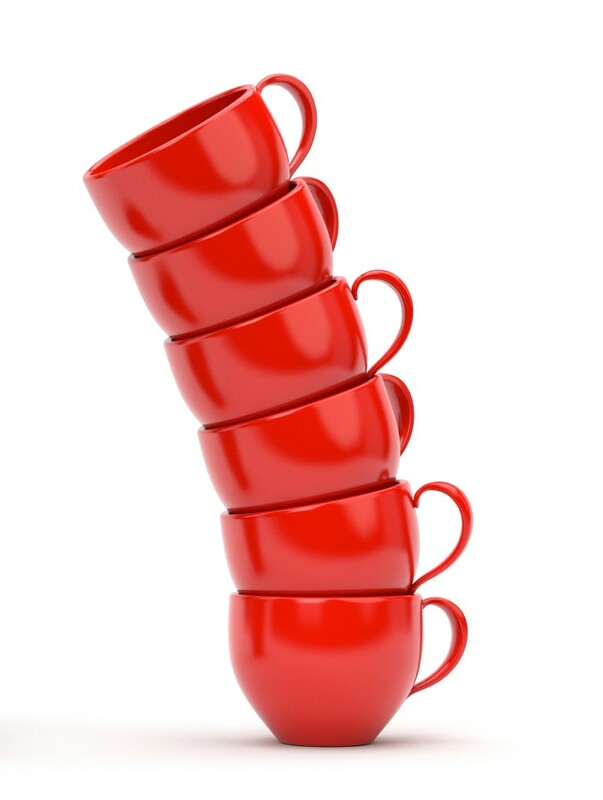 We live in a season of polarization in which we define ourselves by our boxes. Osler kind of blows that up. He has stuff in lots of boxes, and he’s constantly challenging his own beliefs and assumptions, moving those boxes around, rearranging the contents. His job as a law professor and advocate for clemency is to trouble the water. He loves his Bible, especially the Gospels, but he’ll trouble you if you get the chance to hear him. He holds himself and everyone around him to a higher standard. That’s because in a world of hashtags, where retweeting a celebrity counts for activism, Osler and his students and colleagues are working to reform the criminal justice system. He never lets us forget that Jesus was a prisoner, too, one executed by capital punishment. There are two moments in the book that undid me, one in Rome, Italy, and one in Manchacha, Texas. Life isn’t safe. Not for the people you meet in the book, like Jeanne Bishop, who have lost loved ones to murder. Not for any of us. It wasn’t safe for our Savior, either. Here’s the link to the WACOAN, if you’d like to read the article. *Note: I wrote this earlier in the summer. We are having a bizarre and welcome cool front, with 10 straight days of rain. Never in my 45 years has it rained on the first day of school. how you need a cool cup of water at 6 a.m.
where your neighbors are out, celebrating summer. child that does not dig and child that does. Many children fear monsters — whether they hide in the closet or under the bed. Some children fear them when the light goes out, and some have monsters who visit their dreams. As mothers, we know these particular monsters aren’t real. But others are. What dangers await our children at each sunset? In Carrie Shipers’ poem “Mother Talks Back to the Monster,” she mentions such terrors as “unleashed dogs, sudden fevers, cereal / two days out of date.” Yes, some of our fears are silly, like expired cereal. Others are not. Part of motherhood is learning to tell the difference. 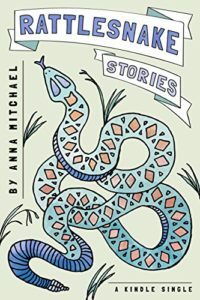 In “Rattlesnake Stories,” Anna Mitchael, who lives on a large ranch in Central Texas, has a very real fear: rattlesnakes. When the country people say, “When you see the first bluebonnet, the rattlesnakes aren’t far behind,” it’s not a warning. They mean it as a statement of fact. When I mentioned this statement at my book talk, the entire audience of Hill Country folks nodded vigorously. It was a truthful answer, and it might have been enough except, well, fast-forward a few years, and now there are two sons on the scene. This mother’s fears are not only for herself but also for these little boys in her care. How can she protect them? What if she can’t? What if even in all her worrying and planning she missed something she should have been fearing all along? This is a book driven by its specificity — rattlesnakes. And that opens the way to talk about other fears, such as aging, depression, whether this year will be a good one or one of those we hope to forget. As Anna confronts her fears head-on, she becomes a little more of the woman she always hoped she would be. with anxiety my son thinks they’re the same. Go outside. Talk back to the monster. “Rattlesnake Stories” is a Kindle single, available on Amazon. I was honored to edit an early version of the book. Let the entire peck of dirt mix till morning. until a knife inserted in the center comes out clean. 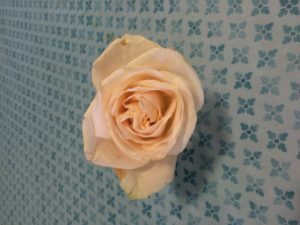 My dad, Clif Drummond, gave me this white rose on Monday. He received it at the University of Texas’ Tower Garden Rededication Ceremony. He is one of the survivors of the shooting 50 years ago, August 1, 1966. He is also one of the heroes. He and his friend Bob Higley, without a moment’s thought, ran toward the shooting to rescue as many people as they could, both on the mall and the Drag. Each person they saved, they loaded into one of the random cars that served as impromptu ambulances that day. The first person they approached, Paul Sonntag, was already dead. This sentence of Dad’s stuck out to me—he believed he had some responsibility. He could have made a phone call for help. He could have hidden and later made a speech. Instead he took off his new loafers, which were slipping on the hot pavement, and ran toward. Not everyone thinks this way. But police officers do. So do first responders and members of our armed services. Some people hear shots and run toward the chaos, to do what they can. My husband and I were there for the ceremony, along with my brother, his wife, and their three kids. We bore witness to the stone with the 17 names, victims of the first mass shooting in a public place in this country. The event was different than I expected. Quieter. Hotter. More solemn. The speakers talked about tragedy, not guns. Claire Wilson James, who lost her boyfriend and her unborn son that day, received a standing ovation both before and after her words. The killer’s name was not spoken. 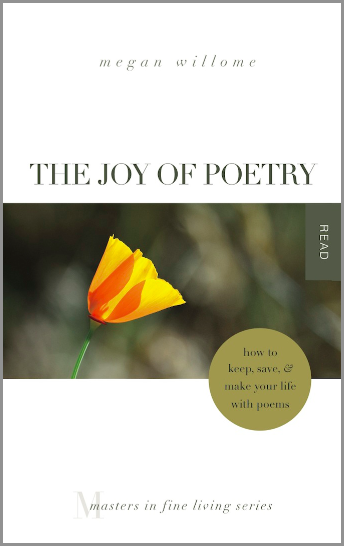 Why do we need poetry? For the unspeakable things in life. My dad and the current student body president, Kevin Helgren, read the names engraved on the rock, and the bell tolled. They read slowly and clearly. My dad’s voice shook at the last one, Baby Boy Wilson, as it should have. Then there was one more toll for all who suffered and lived. Dad told me that after the memorial service, people came up to him, looking for contrition. They needed to tell the then-student body president that they hid in a stairwell when the shooting started. He didn’t think they needed absolution. He told them that they did the best they could. He also did five interviews in 15 minutes. The man is a pro. And when it was over, all eight of us went out for lunch at Matt’s El Rancho, an Austin institution. There was iced tea with lime, Mexican cola, Mexican martinis, margaritas, all kinds of fajitas, quesadillas, chips and hot salsa. It was the kind of meal out I’ve been enjoying with my family my whole life. Dad planned to pay, but my brother beat him to it. The lunch is what haunts me, two days later. My whole world would not exist if my dad had been one of the names on the monument. My brother would not be here either, which means we would not have married our spouses, which means our kids would never have been born. That’s the peculiar robbery of an early death. It’s not one life lost—it’s generations eliminated. That’s why a pink granite memorial had to be erected beside the turtle pond, below the tower. If every name were written down, not only those lost on August 1, 1966, but also those lost from the years to come, I suppose that even the largest stone on earth would not have room for the names what would be written.